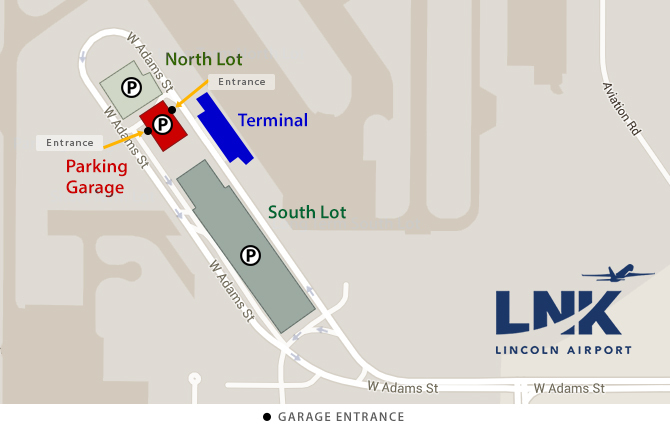 Parking Garage: The covered parking garage at Lincoln Airport provides visitors with easy and convenient parking adjacent to the Terminal. Hourly and daily parking is offered at the garage. For your convenience, we accept cash, VISA, MASTERCARD, DISCOVER and AMERICAN EXPRESS. Use the covered walkway on the 3rd Floor of the Parking Garage to access the Terminal. Designated parking spaces located in each parking facility for customers with physical challenges, and 3rd Floor covered walkway is also accessible.